Vanier Cup most valuable player. Awhile back I saw Ottawa Senator hockey player Cody Ceci on the news, responding to the shooting in the nation’s capital. With a name that unique, I wondered if he was related to another athlete named Ceci who electrified crowds on the national stage in another sport 30 years ago. It turns out the young hockey player is the son of Parri Ceci. For a month in 1984, he captured the imagination of Canadian university football fans, turning in some great performances, and leading his team, the upstart Guelph Gryphons to the national championship. The University of Calgary Dinosaurs had beaten the Queen’s Golden Gaels to win the 1983 Vanier Cup. The finalists in the 1983 Vanier Cup looked very much like they both would repeat, setting up a rematch in Toronto for the 1984 national championship. Back then, I cheered for the Dinos, as much as you could, given Canadian university football was rarely on TV. Their star quarterback, Greg Vavra, had graduated to the CFL and the Calgary Stampeders. He was replaced by Lew Lawrick who picked up right where Vavra left off. Lawrick was even a finalist for the Hec Crichton Trophy as the country's most outstanding player. It looked like he would lead his team back to the national championship, maybe even to face the same team Vavra had. However, the Guelph Gryphons and Mount Allison Mounties had other ideas. The Mounties upset the Gaels 33-11 in the Atlantic Bowl, while Calgary was upended 12-7 in the Churchill Bowl by Guelph, who was led by an all-Canadian receiver named Parri Ceci. I remember exactly where I was when I heard. My friend Shawn was sleeping over on a Saturday night, and I flipped on the late news, specifically to see how the Dinos did, only to be greeted with the disappointing news. That meant Guelph and Mount Allison would meet at Varsity Stadium in Toronto to play for the 20th Vanier Cup. When CTV aired the Vanier Cup the following Saturday afternoon, I cheered for Mount Allison because Guelph had beaten Calgary. They were the under dog as well, even though Steve Bruno, their coach, had been named coach of the year in the CIAU. From the pre-game show, it sounded like the Mounties had a good defence. They were led by an all-Canadian defensive back from Winston-Salem, North Carolina named Larry Oglesby. He had won the President’s Trophy as the best defensive player. I was curious to see how he and the rest of the defence would line up opposite that big-play Guelph offence, led by Ceci and quarterback Randy Walters. It was a defensive struggle punctuated by turnovers. Mount Allison threatened early, but was intercepted in the end zone. That opened the door for that lethal combination of Walters to Ceci. They hooked up on an 89-yard play for a touchdown and a 7-0 lead. The play was the longest in Vanier Cup history. 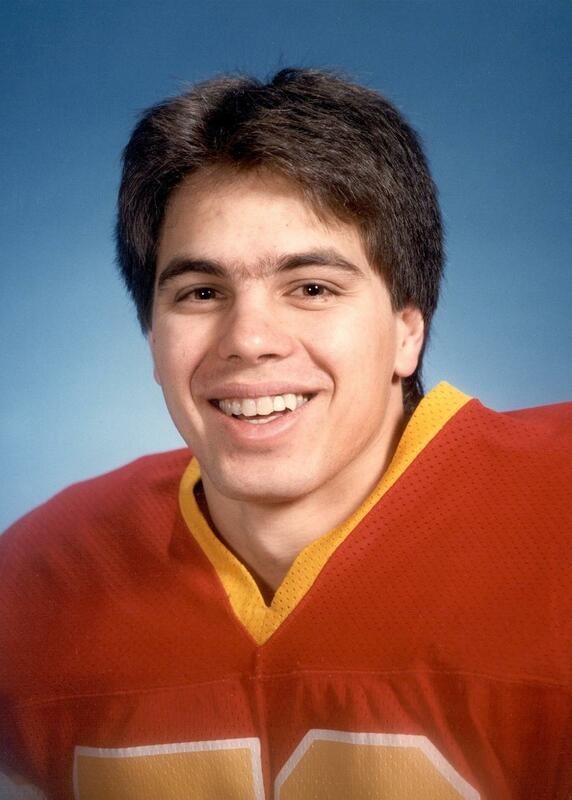 What I remember most about that game, beyond Ceci, was a Mountie defensive back named Scott Cameron. He closed out the first quarter by intercepting Walters. That left the score 7-0 after 15 minutes of play. Mount Allison got on the scoreboard early in the second quarter as kicker Terry Baker hit a field goal to close the gap to 7-3. Paul Henry would intercept another Walters pass, but Baker missed the ensuing field goal, and another attempt after that. Cameron struck again shortly after. Guelph was punting on third down and they botched the snap. Cameron scooped up the ball and ran it in for a touchdown and a 10-7 lead. He intercepted another pass, but Baker missed another field goal, leaving the score 10-7 at halftime. Baker had the only points of the third quarter with another field goal to make it 13-7 with 15 minutes to play. I recall, at the time feeling uneasy about that lead. All those field goal misses were mounting. Early in the fourth quarter, Guelph drove again. This time Walters threw a pass up for grabs that Ceci jumped up and took away from defender Peter Estabrooks for a 38-yard touchdown to tie the game at 13-13. That gave Ceci 127 yards on the day. The Mounties blocked the convert so the game remained at 13-13. Later in the quarter, Mount Allison gambled on third down and came up short in their own end. Guelph capitalized, moving into position for the go-ahead field goal and a 16-13 lead with just over three minutes left to play. Mount Allison could not respond. Guelph got the ball back and gave it to Jed Tommy who ran it down to the one-yard line, then plunged in on the final play of the game for an insurance touchdown and a 22-13 victory. It would be Guelph’s only Vanier Cup championship to date. For his efforts, and two game-breaking touchdowns, Parri Ceci was named the most valuable player of the game. It would be the last highlight of his career. Parri Ceci would be drafted by the Calgary Stampeders in the 1984 CFL draft, but a knee injury ended his career shortly after. There were some players from that 1984 Vanier Cup who went on to the CFL. Terry Baker played 15 years with Montreal, Ottawa, Toronto, and won a Grey Cup with Saskatchewan in 1989. Jed Tommy moved up the road and had a productive career with Hamilton, where he won a Grey Cup in 1986, then Ottawa. Larry Oglesby had the makings of a pro, and the Stamps had his rights too, but he just seemed to disappear. It’s too bad. TSN posted a column comparing Parri Ceci to his son Cody, saying Cody learned from his dad’s CFL disappointment. One of the things Parri taught his son was to make the most of his education, because the elder Ceci regretted not making more of his time at Guelph. Ultimately, he had to go back to school to upgrade, taking computer courses that led to his current job with the federal government. Cody has taken his education seriously, and is now patrolling the blue line on defence for the Ottawa Senators. The lessons of the father were not lost on the son.